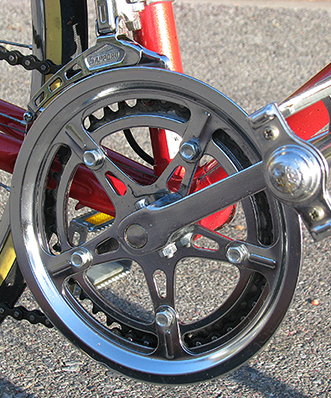 Working to become the Brangelina of the 10-speed world. 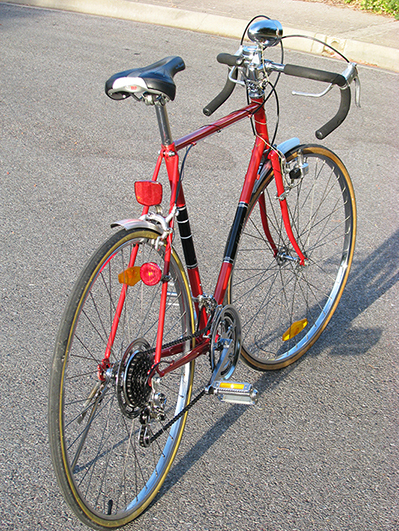 Bike is a 1984 Nittaka Mens Racer Location_Adelaide, South Australia Spotted this baby when riding to my moms about a week ago. It was a hard rubbish find that a guy had picked up and he was selling it at a garage sale. I paid $40 for it. Only needed a clean and polish. The bike looked like it was almost brand new and you could see it had not been used very much. 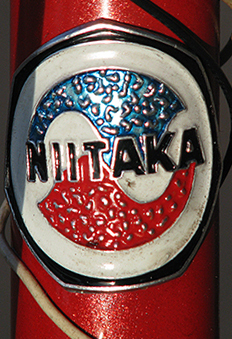 The Niitaka only has lower end components and I was surprised to see that they still made bikes with cotter pin cranks in 1984. I think the dyno light may have been an ad on. I have seen a few Niitaka BMX online but not too many Niitaka racers. 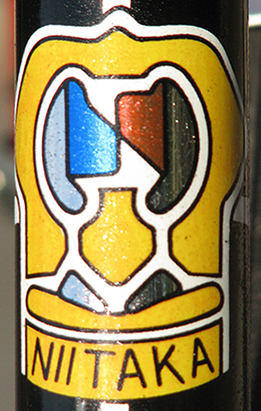 The headbadge is making me thirsty for some Pepsi! The shorty fenders are sweet. 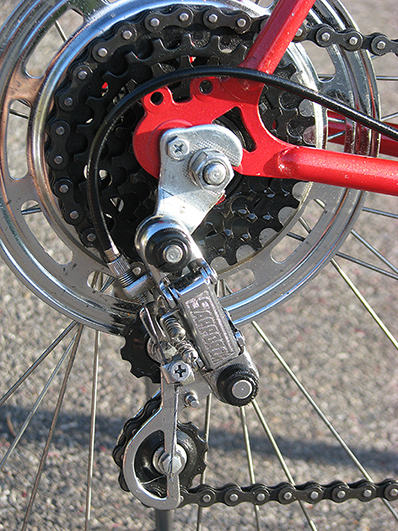 My ’85 Roadmaster has the same cottered crank. 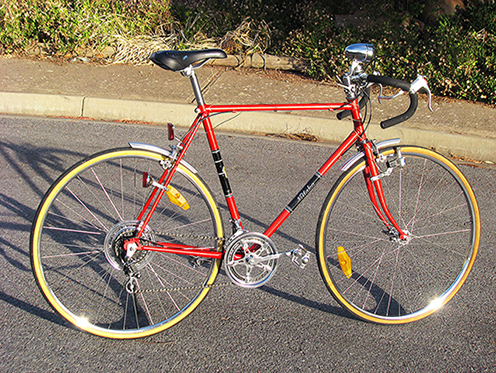 Old bike boom 10 Speeds are like, uh, old Dodge Darts (best thing I could come up with). There’s a million of them, but each has its own personality and unique features. very nice, and it cleaned up beautifully! 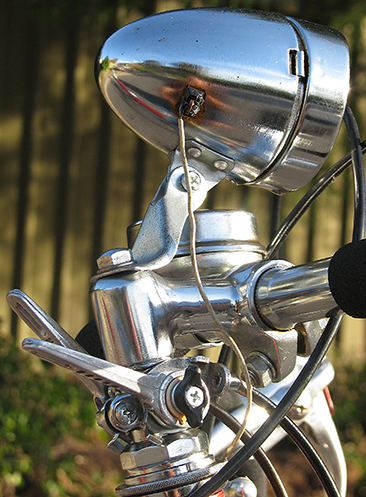 are those knock-off shimano derailleurs and shifters?